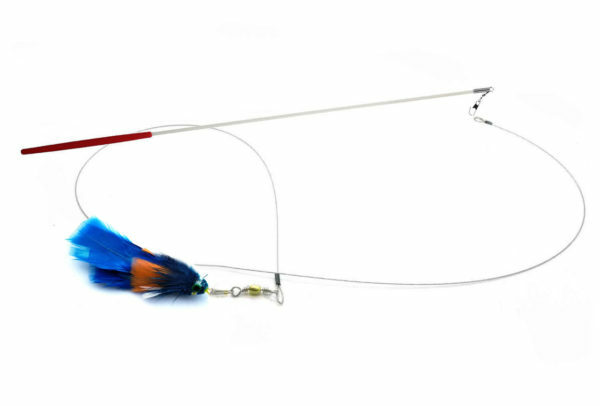 The KatFly® Parrot Cat Toy Teaser Wand is a great addition to your interactive toy teaser wand collection. Cats need exercise, especially if they are inside all the time.This toy creates some fun for you and your cat and gives them exercise at the same time. Cats can’t get enough! 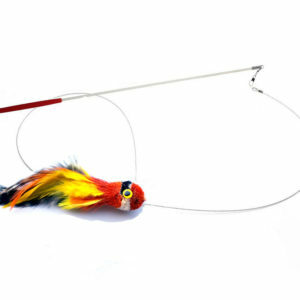 KatFly® Parrot Cat Wand body is about 2 inch, whole toy is about 4 inches with lots of color! 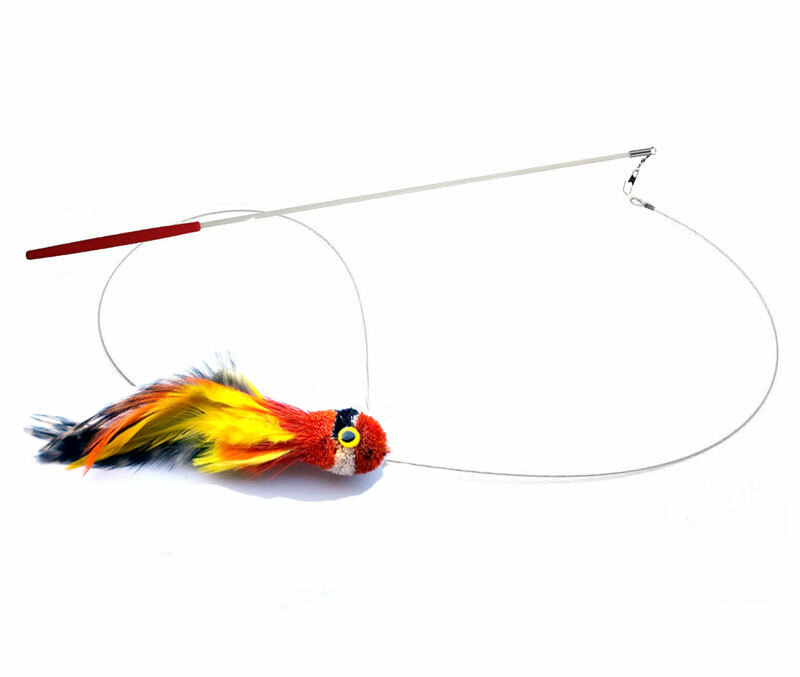 Made of deer hair with a real colorful feathers about the size of a hummingbird. When attached to a cat toy teaser wand it flies like a real bird!